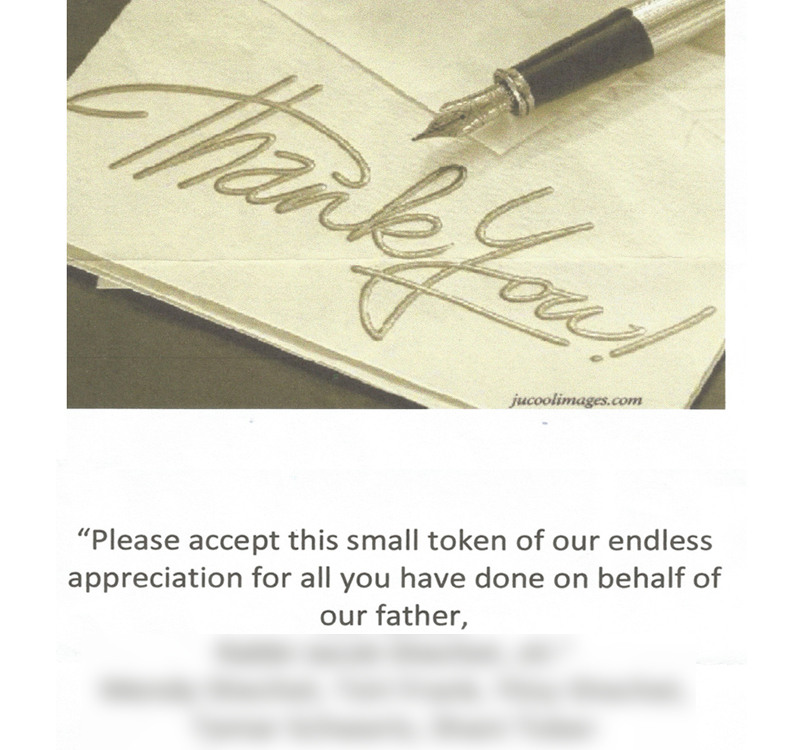 "Please accept this small token of our endless appreciation for all you have done on behalf of our father, Rabbi Jacob Shechet, z"tl." 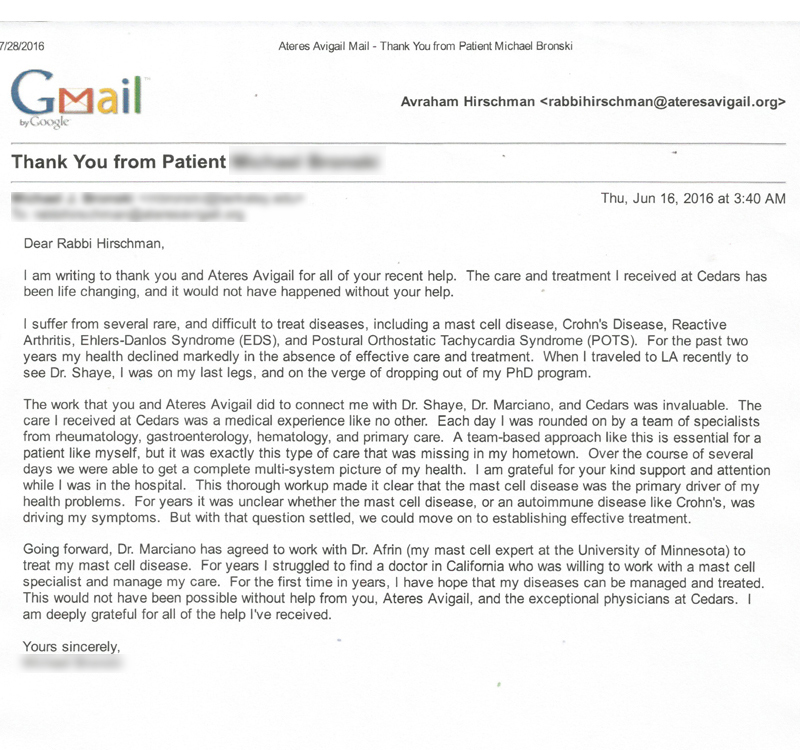 "For the first time in years, I have hope that my diseases can be managed and treated. 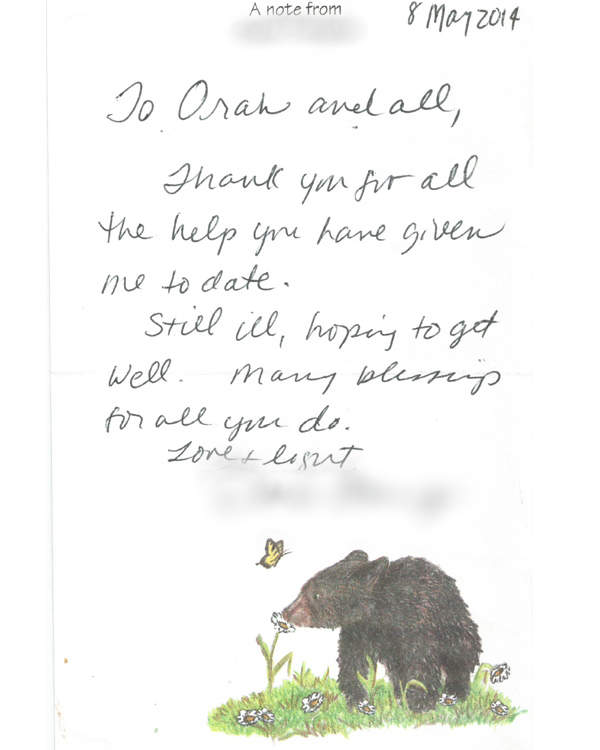 This would not have been possible without help from you, Ateres Avigayil." 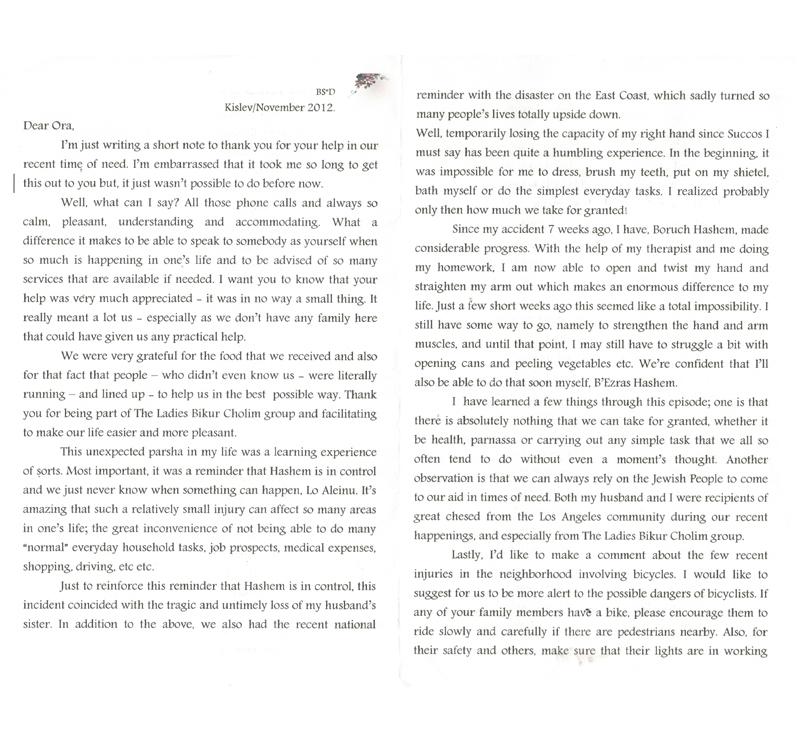 "All those phone calls and always so calm, pleasant, understanding and accomodating. 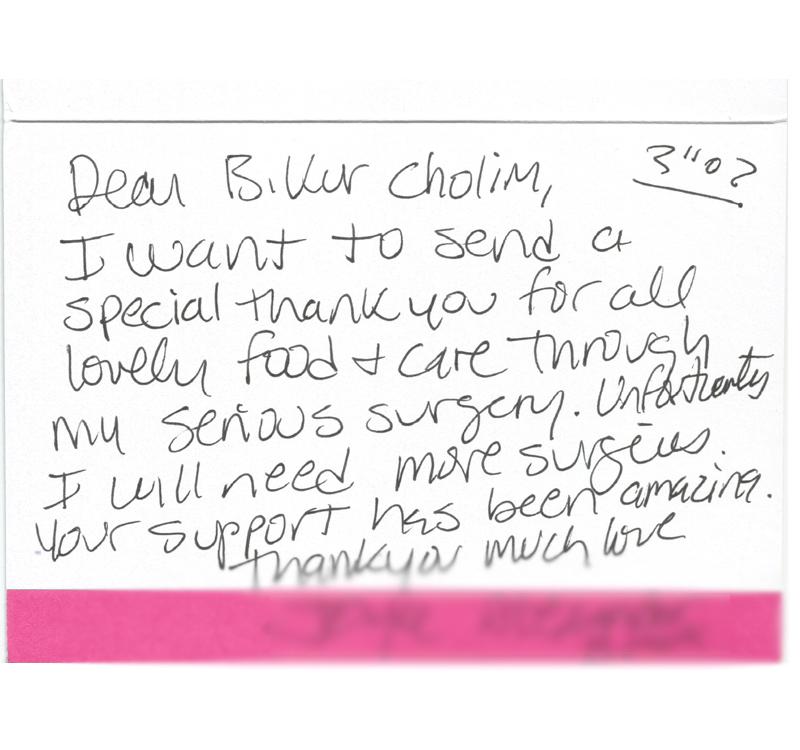 "I want to send a special thank you for all the lovely food and care through my serious surgery." 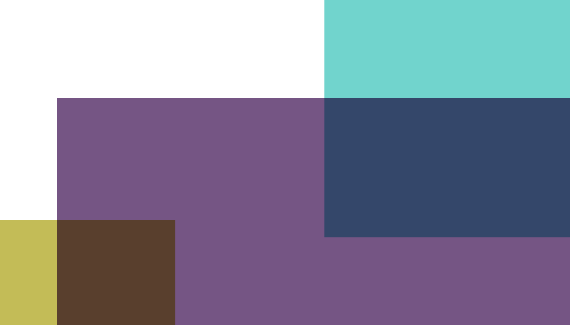 "Thank you for all the help you have given me to date." "Thank you for your loving care! " 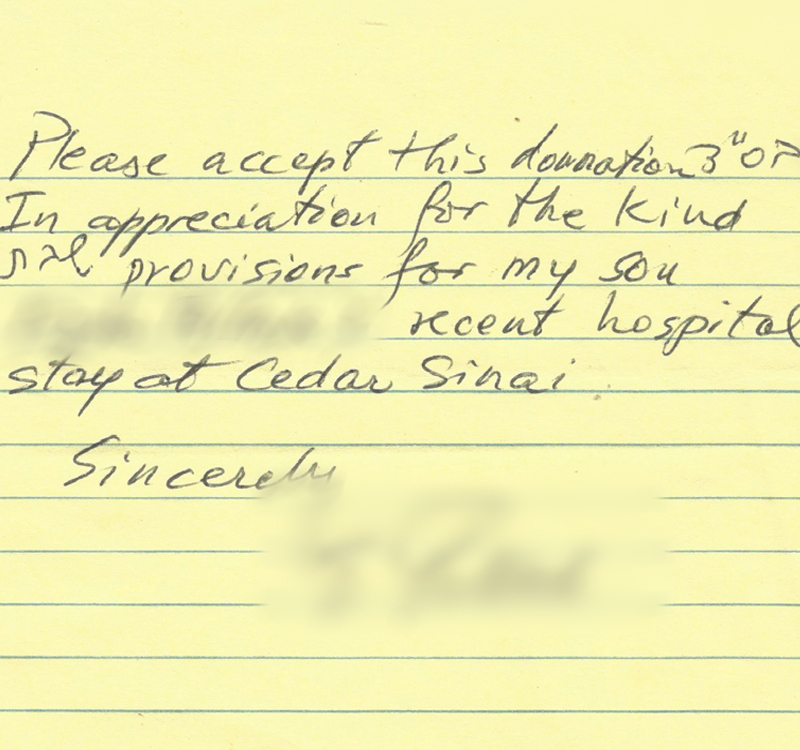 "In appreciation for the kind Shabbos provisions for my son's recent hospital stay at Cedar Sinai." 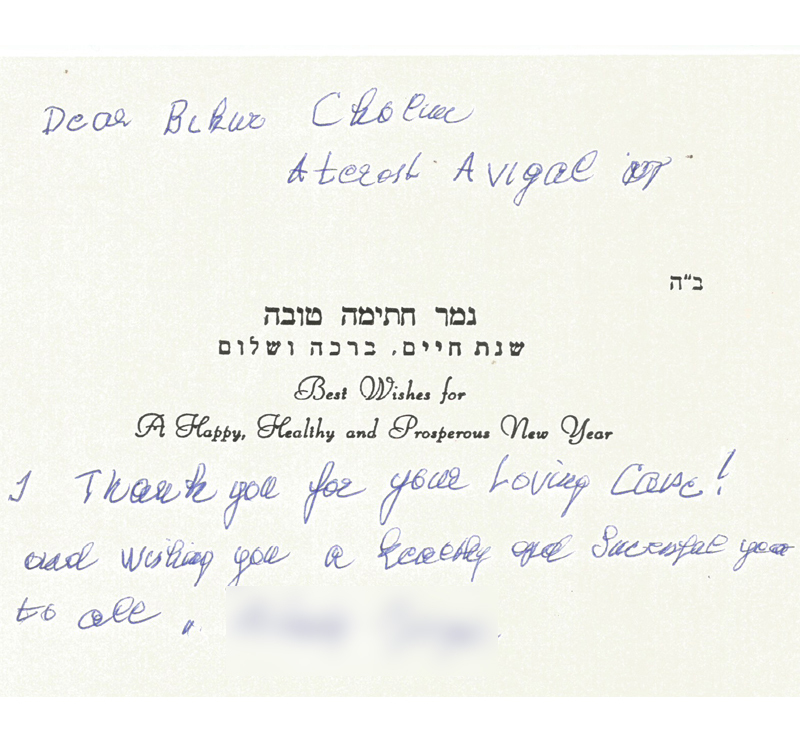 "I was overwhelmed & delighted with the wonderful Shabbat meals & generosity." 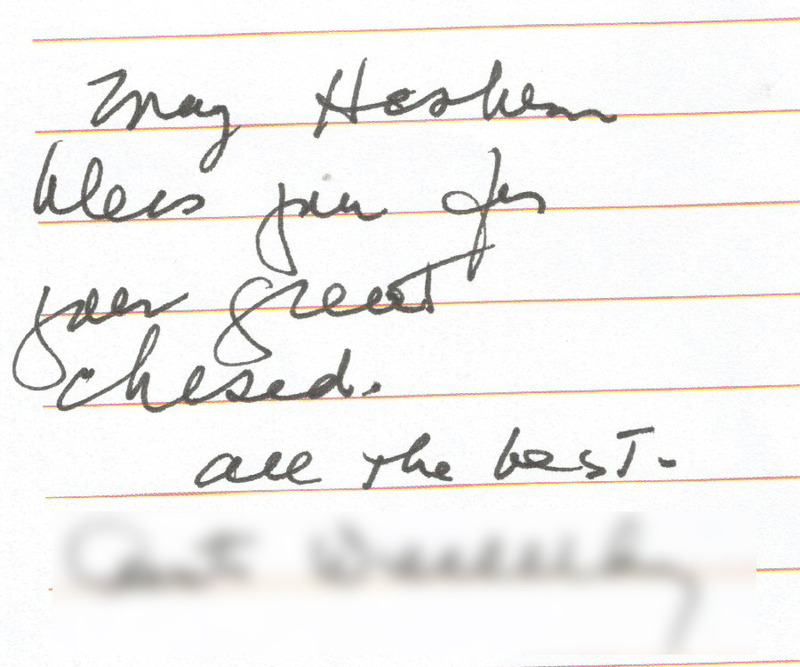 "May Hashem bless you for your great Chesed." 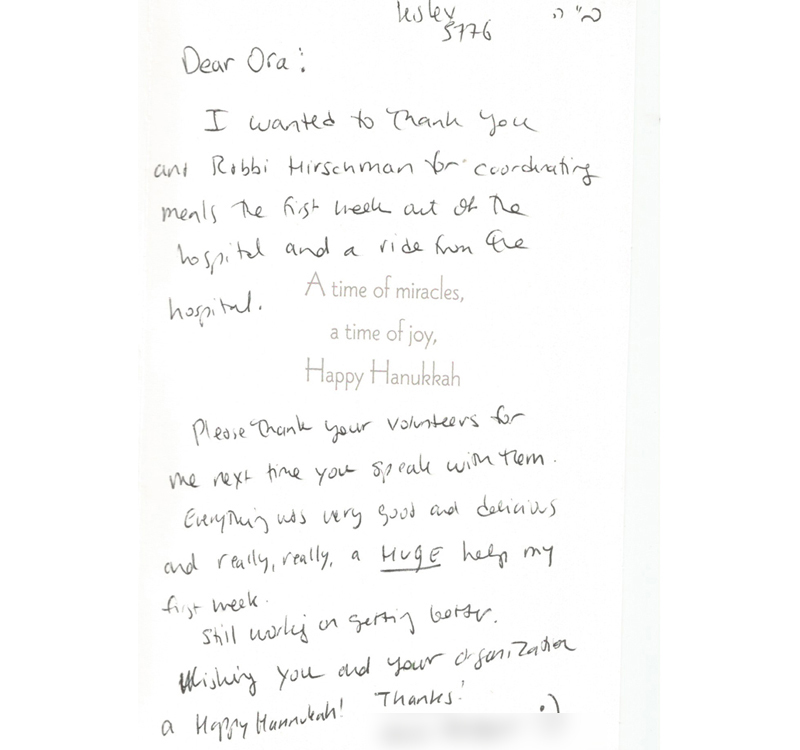 "Everything was very good and delicious and really, really a HUGE help my first week." 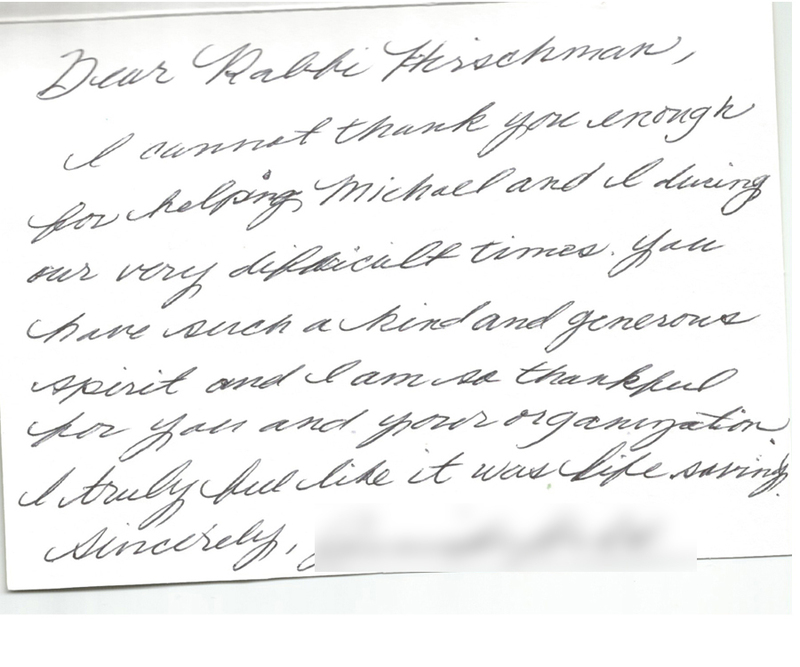 "I cannot thank you enough for helping us during our very difficult times." 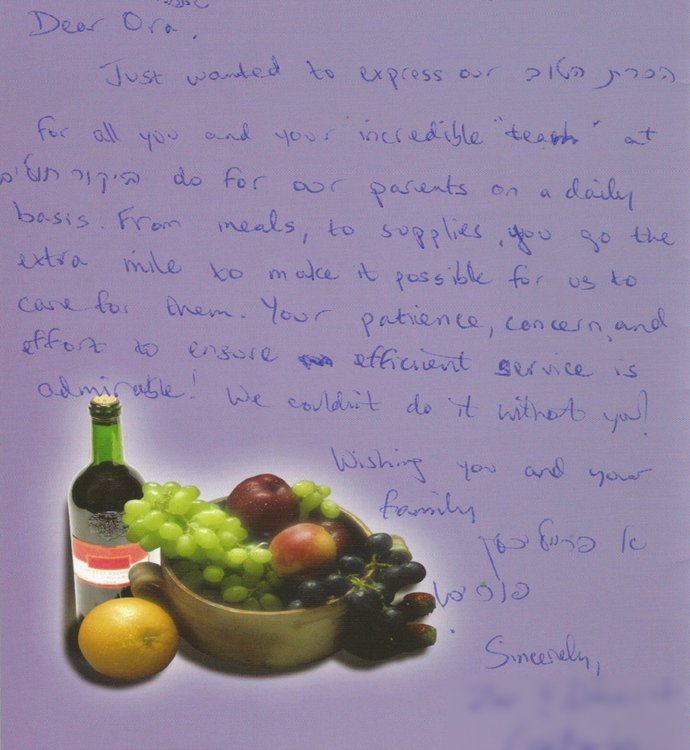 "Hakoras Hatov for all you & your incredible team at Bikur Cholim do for our parents on a daily basis."